KANNAPOLIS, N.C., (Oct. 7, 2013) – NASCAR Sprint Cup Series driver Tony Stewart underwent a third surgery on his right leg earlier today to examine and close a wound on his shin stemming from the broken tibia and fibula he sustained in a sprint car crash Aug. 5 at Southern Iowa Speedway in Oskaloosa, Iowa. 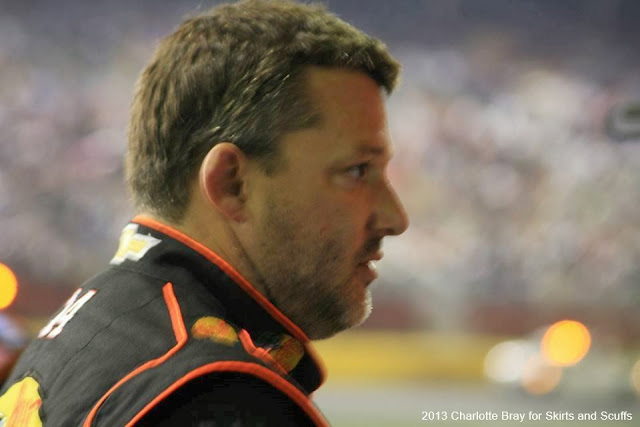 Stewart will remain hospitalized for observation. The surgery served as a proactive measure and team officials do not expect it to impact Stewart’s return to the No. 14 Bass Pro Shops/Mobil 1 Chevrolet in 2014. Stewart’s first surgery on Aug. 6 in Iowa served as a preliminary procedure to stabilize and clean the Grade 2 injury. The second surgery on Aug. 8, by a specialist in North Carolina, involved inserting a metal rod inside the tibia, pressing it to its anatomic position.